She doesn’t seem such a bad old stick, Theresa May, when you see her palling out with various cricketers, and I noticed some quite sweet pictures this week of her looking delighted at being given a special “May 10” England cricket shirt. 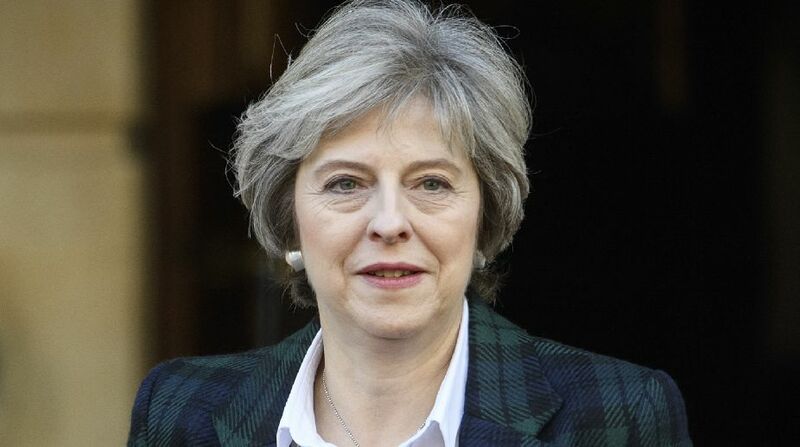 However, everyone from the Cabinet down has come to realise that this is a lady who really doesn’t play by the rules, and doesn’t much care if the rest of us think it isn’t cricket. She is a bit of a cheat, in fact. The latest example is her seizing a majority position on the various parliamentary committees that will be doing the very important work of scrutinising how all that old Eurolaw – 20,000 bits of it – gets turned into British law after Brexit, as well as other vital business. It is a stunt that would have fitted in well in the world of Stalin or Lenin: seize control of one central committee – in this case the Committee of Selection – and all the other subcommittees and bodies that flow from it by its nominations are also seized, at a stroke. The Tories did so with the aid of the Democratic Unionists of Northern Ireland, who may be termed “useful idiots” for these purposes. So much for Parliament taking back control. That was supposed to be the point of the Repeal Bill – and Brexit, after all. We were assured that far from being a power grab, there would now simply be a bureaucratic exercise to adapt rules and regulations to the new world: the legislative equivalent of “Find and Replace” in Microsoft Word. If so, then why rig the committees so tightly? What’s more, whether it is a power grab or not, why is the will of the people (as expressed at the last election) being so blatantly disregarded? Because it would make a mess of getting Brexit through? Maybe, but that, I am afraid, is what the people voted to do. It was the revenge of the Remainers: the British general election of 2017. The assumption among fair-minded folk was that the present composition of the Commons, where the Conservatives no longer command an overall majority, would be reflected in the composition of these committees – and that therefore, the Conservatives would not command a majority on the relevant committees either, because they are supposed to be the Commons roughly in microcosm. You’d imagine that minority parties would tend to hold the balance. Of course for Theresa May and the amazingly vacuous Andrea Leadsom, leader of the House of Commons and her henchwoman in this escapade, that’s not quite what they’d like. So they used their deal with the DUP to ensure that the clearly expressed wishes of the British people at the last general election – to give no party an absolute majority – are thwarted on the Commons committees. So Theresa May has, by stealth and, well, cheating, got the majority that the voters so resolutely refused to give her just a few months ago. Having failed to gain the personal mandate she explicitly sought for Brexit, she is now simply pretending that she has a majority because of her DUP deal. That is not the same thing at all. It is not cricket. That clever up-and-coming Tory MP and junior minister James Cleverly explained all this on Westminster Hour on the BBC the other night. His argument was that the Government does command a majority in the Commons because of the DUP deal, notorious or not, and therefore it is entitled to a majority on those committees. But that is not how it is done – or should be done – at all. For the DUP are not a governing party; they are not (yet) a part of the Conservative Party; they do not take the Tory whip. They do have a limited “supply and confidence agreement”, but that is that. They can, and I’m sure will, vote against the Government when it suits their interests, as they are entitled to do. The DUP, in other words, do not even have the closeness of political association that the Conservatives and the Liberal Democrats had under the much more far-reaching Coalition agreement of 2010 to 2015. They are there to prop up Theresa May if she faces a vote of no confidence and at Budget time. The rest is up for grabs. If there were more of them and no other minor parties, then the DUP could be given the casting vote on every committee, but that would be even more plainly undemocratic. Theresa May seeks not only to thwart the people’s will and disable Labour, but to neutralise the Lib Dems, the SNP, Plaid Cymru and the only Green in the Westminster village, Caroline Lucas. It is an abuse of power. What, I ask, does Speaker Bercow make of all this? Should he not intervene somehow?